Question: Do you think Colleens critics have looked into what garbage ingredients they are lathering all over their breasts prior to nursing their babies? Congratulations Colleen on not being perfect…just like the rest of the world. Don’t know what we’re talking about? Well, clearly you don’t follow Huff Post or E online news, because this picture and topic are trending. Baby is fine and Mom is too despite the backlash that she received from tons of judgmental people making ridiculous claims to include, “worst mum ever”. Great job Colleen on standing up for yourself and not taking this lying down. Read her open letter in response to the attack on her blog. By the way, there is no indication that tanning solution, other than tasting badly, would negatively effect this infant. Breastfeeding Moms should feel confident about spray tanning. Avoid Scandal: Directly after your spray tan, simply use a baby wipe to wipe the tanner off your breasts. That’s it! No fuss, no mess, no problem. Baby Wipes – Use to clean off area that will contact baby’s mouth. Even though the solution is organic, it can turn baby’s mouth and face orange. Just for added measure clean baby’s face and arms after feeding, with another wipe. Cover Belly – Lay a shirt or blanket across mama’s belly to prevent the solution from transferring from her tummy to baby’s clothes or skin. Don’t Avoid It – Nothing should prevent you from feeding and bonding with your baby, especially a beauty routine. Enjoy being a Mommy and feel confident with a healthy organic glow. 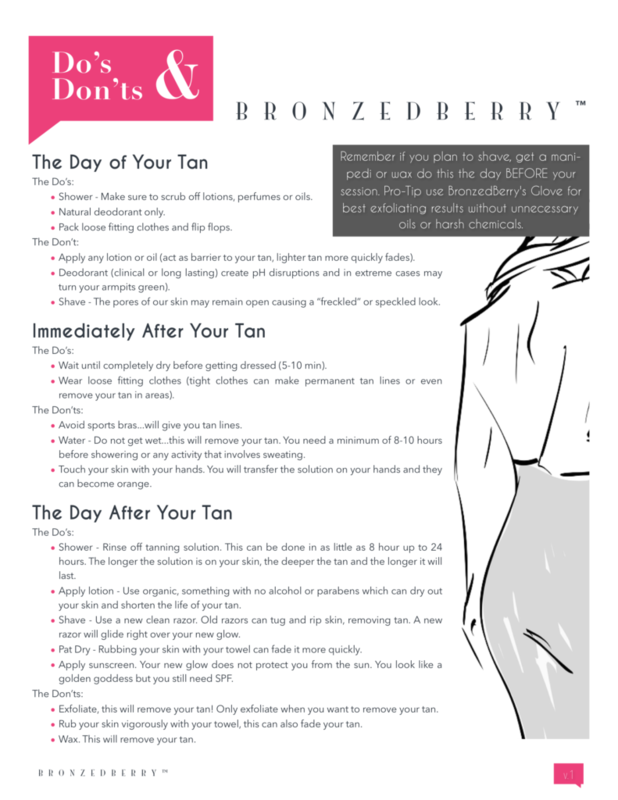 Breastfeeding is a total do with BronzedBerry’s organic tanning solution. Our products and solutions are made in the USA, with certified organic ingredients. Take a look at our ingredients here. Pregnant tanning? Yup, you can.